Henry Taunt was one of the great photographers of the nineteenth and early twentieth centuries. He was a master of the camera and possessed of a profoundly creative sense of scene and composition. 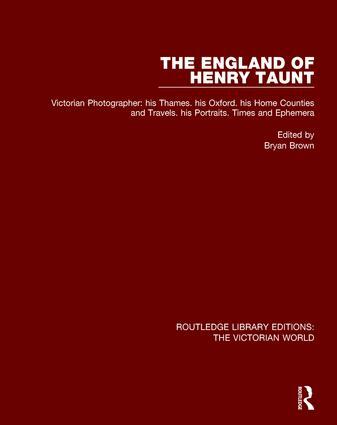 First published in 1973, this collection of Henry Taunt’s finest work includes artistic prints as well as images which are of importance to architectural and social historians. Sympathetically introduced and captioned by Bryan Brown, this book is a striking visual essay on the Victorian and Edwardian eras and a magnificent record of places and their past.